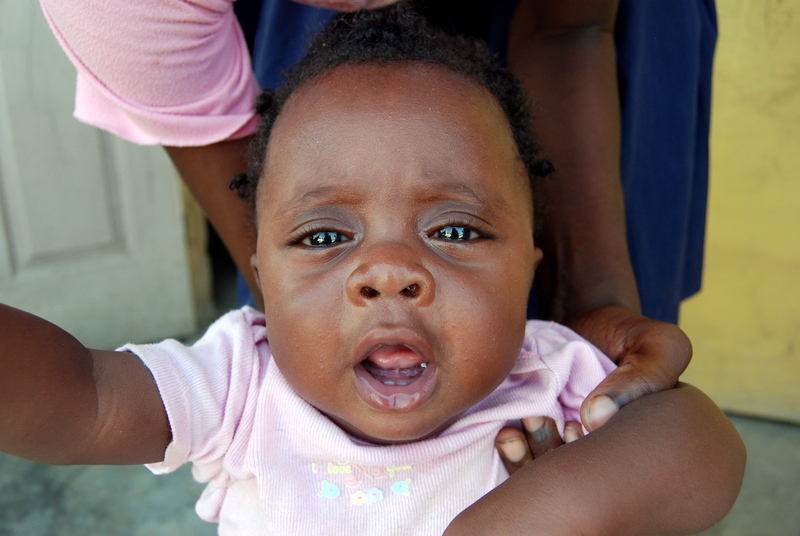 In May 2010, I traveled to Port-au-Prince, Haiti, on a mission trip. It was only for a week, but that week was enough to impact me forever, and I long to return to that special land. I learned yesterday that one of the orphanages with which we worked, the Son of God Orphanage, has been trafficking its children and abusing them. And my heart is truly broken. We delivered dozens of mattresses to this place so that these precious children wouldn’t have to sleep on concrete anymore. We spent time with them, loving on them, praying for them. And now to find out that their leadership is so corrupt and evil…it’s too much to bear. You can make a difference simply by signing your name to a petition! 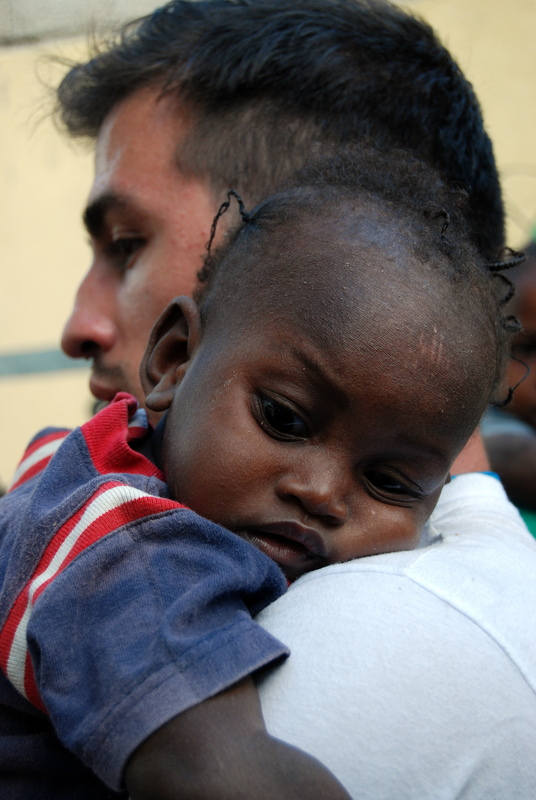 This petition will be sent to CNN when we reach 10,000 signatures so that they can help expose the corruption, since the government of Haiti is protecting the orphanage leaders. 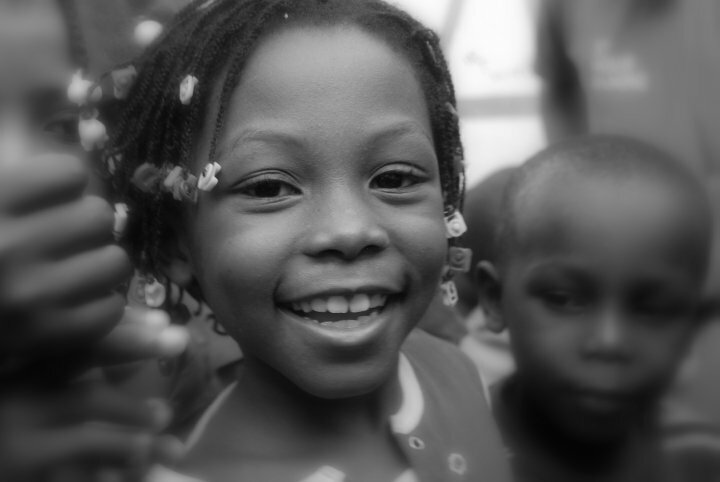 It will take less than a minute of your day, but it will make a HUGE difference in the lives of these orphans. PLEASE sign your name! 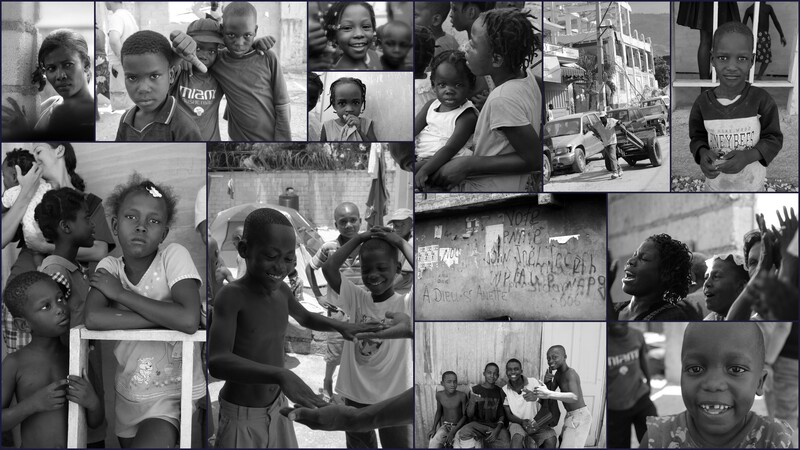 Five days after I returned home from Haiti, I left for São Paulo (Brazil). I knew that it wouldn’t be enough time to process anything, and I pushed Haiti to the back of my brain so that I could fully engage in our mission while in Brazil. And it worked. When I returned, I spoke at church on both mission trips, and had to refresh my memory as to what had happened in Haiti! But now, God is bringing it all back, and I am finally beginning to process it all…and as I looked through my pictures today, tears came to my eyes. My heart is re-breaking for Haiti, and I can’t wait to return…and I can’t wait to see what God continues to teach me through this experience. I am ready. It is astounding how six days can change your heart forever. I’ll begin with my time in the Ft. Lauderdale airport before boarding my flight to Port-au-Prince. I was sitting in the waiting area when a group of 20 college-aged white people walked in with a guitar…it was very clear to me that they were on a mission trip 🙂 So I asked one of them, and they confirmed my suspicion. …even from the plane, we could see tent cities for miles. 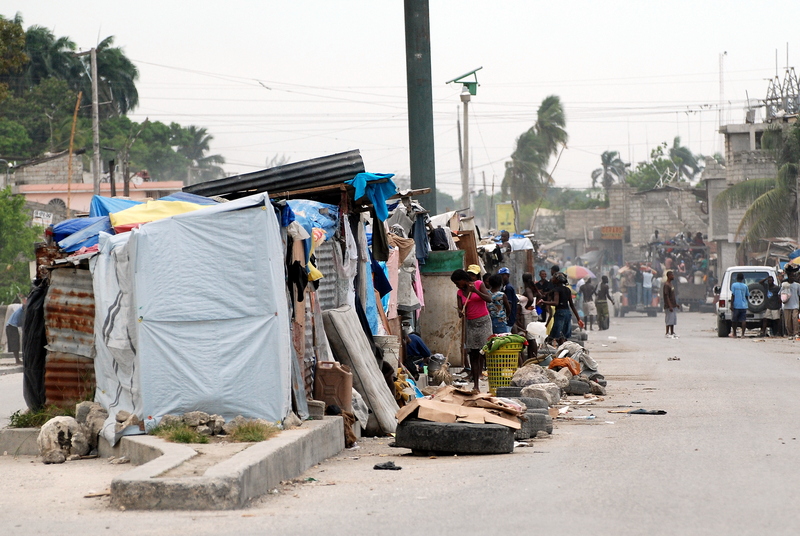 As we drove through Port-au-Prince to get to our house from the airport, it was hard to not be overwhelmed by the piles of rubble everywhere (and by the seeming lack of driving laws!). We passed many tent cities sponsored by several different nations. 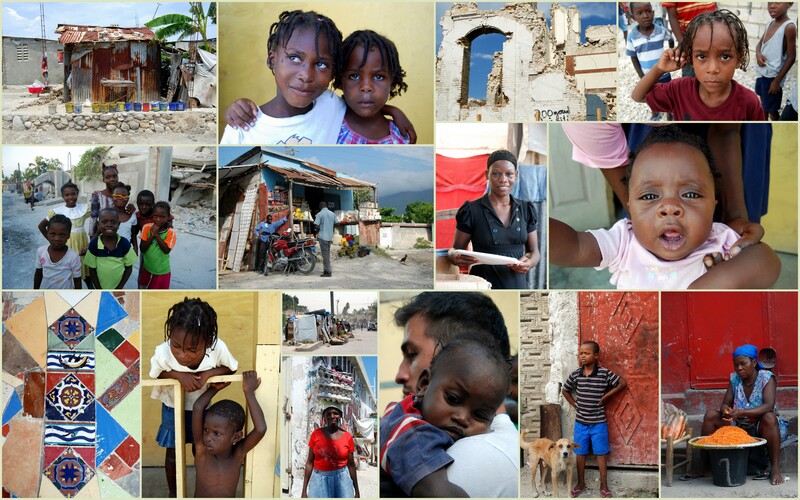 The devastation was and is incredible–yet, people are making the most of it. Shops are open on the street in front of the buildings in which they once operated, amidst the piles of rubble. There is so much color, everywhere–buildings, umbrellas, clothes, fruit, flowers…and it provides a stark contrast to the gray piles surrounding everything. I immediately began to ask the question, “where do they even begin to rebuild?” Everywhere you look, all you see are damaged/destroyed buildings…I was brought back to the comment made by the Haitian man in the airport, and I joined him in his sentiment…at first. We had an orientation on Sunday night to Haiti, to what our week would look like, etc. We were told to be fluid, not flexible, because flexible can break. What a great concept, especially for what was ahead! Adventures in Missions (the organization with which I went) has been working directly with Haitian pastors to empower them to help their people, which I think is the absolute best approach. Many of the pastors, when asked what they most needed, said that they need discipleship–not food, not water, not buildings. And they said to start with them. In a country filled with so much need, so much desperation, these pastors recognize that man does not live by bread alone, but by the Word of the Lord, and that was so encouraging! Haiti is a magnet right now–God is bringing people from all over the world here to “help Haiti”, but these people are leaving with a new sense of spiritual hunger and desperation that they are taking back to their homes. 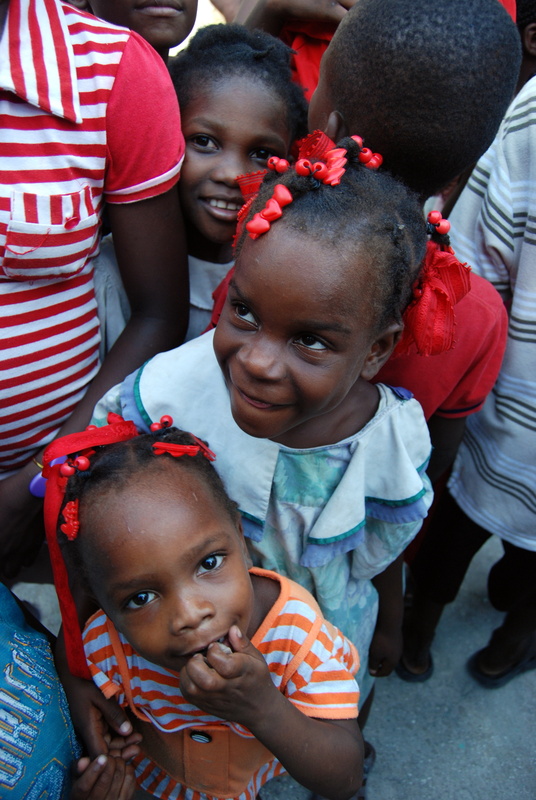 God wants to bless the nations through Haiti, and I can definitely say that my experience is in line with that! People are going home infused with an urgency and a desire to serve Jesus more! Many people have asked what we specifically did there, so this post will focus on that. We worked with a man named Pastor Theodore, who serves in a community filled with hungry people–physically and spiritually–near Carrefour. We went down there each morning for a couple of hours and prayed for the Lord to lead us. One thing I loved about our trip was that it was so Spirit-led. On Monday morning, we were split into groups of two or three, with an interpreter, and told to walk around the community and do whatever God led us to do. At first, it was quite scary! I am used to plans, details, specifics. But I quickly learned that allowing the Holy Spirit to work and lead is the best way to go! It was hard to look around the community and grasp that this was real…that this is their reality, their daily life, and they can’t easily escape. We would go home for lunch (for two reasons: one, because we can’t just eat in front of them, but also to allow us a time of rest after working in the extreme heat). We would also prepare during that time for our small-scale Vacation Bible School that we did for the kids, which consisted of a group game and/or song, a story (that we would act out as it was narrated, because they loved that! ), and an activity like coloring or making things out of pipe-cleaners. We had at least 150 kids each day! Our house had electricity–when it was on. I quickly became so accustomed to flickering lights, or non-existent electricity that coming home to constant power has made me more thankful than ever for the simple things we enjoy. Toughest moments: As we drove to our site each day, we drove past a section of homes in the median of the road…they have no where else to go, so they live in the five foot (my estimation) median in the middle of a busy street. Heartbreaking. The kids play in the space between the curb and the tires that their parents have set out about two feet from the curb. 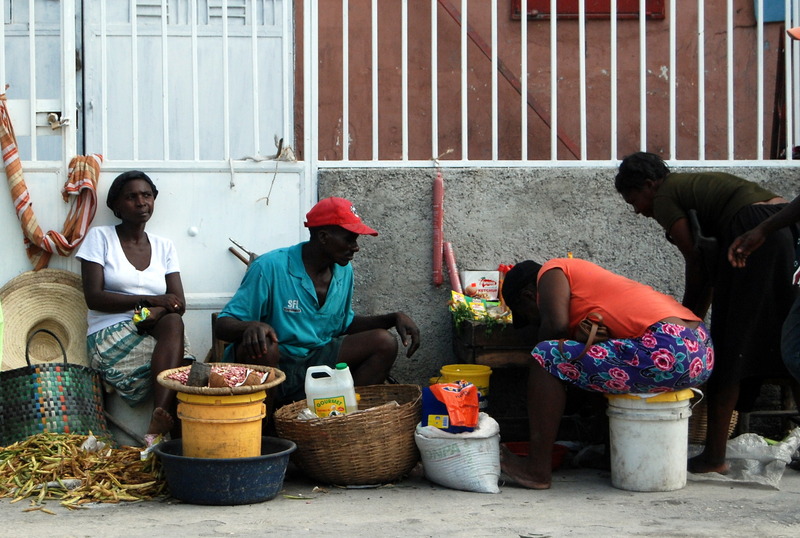 Yet, in the midst of this extreme poverty, the Haitian mindset is not what you would expect! The pastor told us that they essentially say “I know I’m hungry, and I know my house fell down, but I know that in Jesus I have everything I need.” Wow. They rejoice in what they have, not like the developed world which so often becomes “depressed” because of what they do not have. 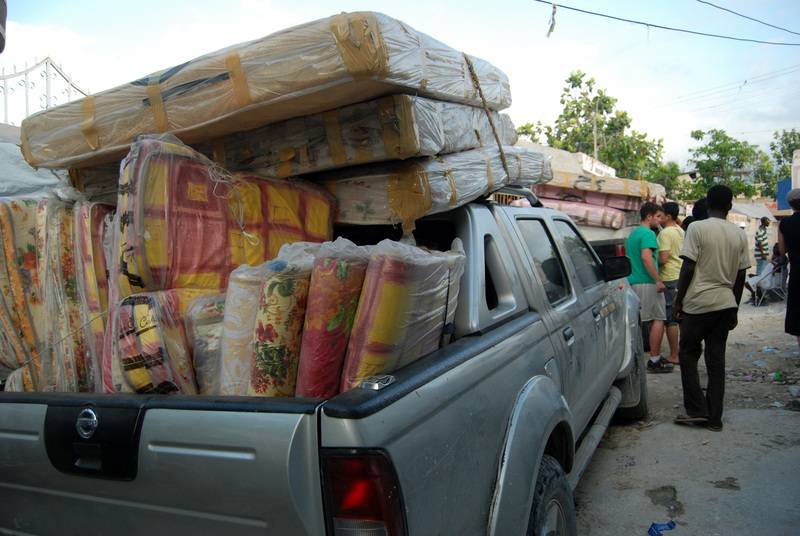 We got to hang out with the children at the orphanage for about 15-20 minutes after delivering the much needed mattresses…and we didn’t want to leave them behind. We went to the boy’s camp first, and discovered that they were out of food…so we went to the market and bought food for them (this was not part of our “plan”, but as I said before, the trip was about the leading of the Spirit, not our plans). I really wanted to take these precious boys home! 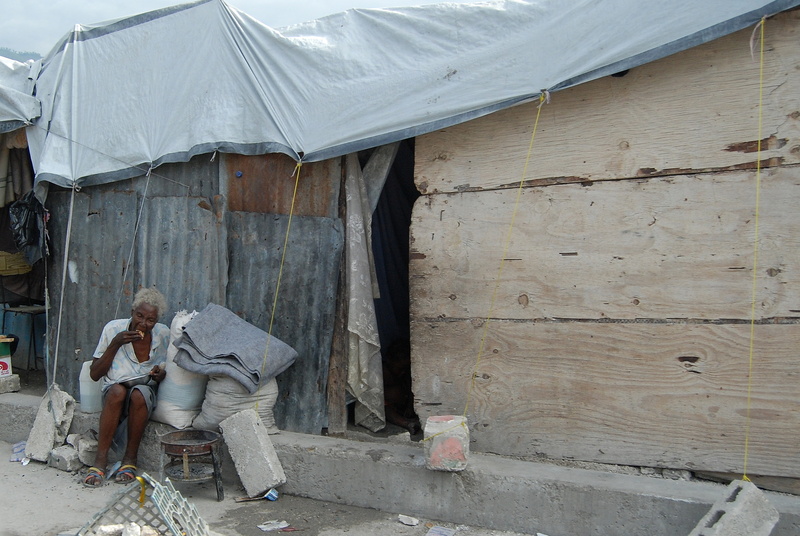 Our team was able to prayerfully decide how to bless our community with a budget of $2,000, and we decided to give rice and beans to the Pastor to distribute, as well as to buy wood and other roofing supplies so that they could put a roof on their cinder-block and tarp church. The food was delivered under the cover of darkness (we felt like it was a mafia deal, LOL) for safety reasons, and the building supplies were delivered to the church to their complete surprise. It was SO awesome to be able to give to them! 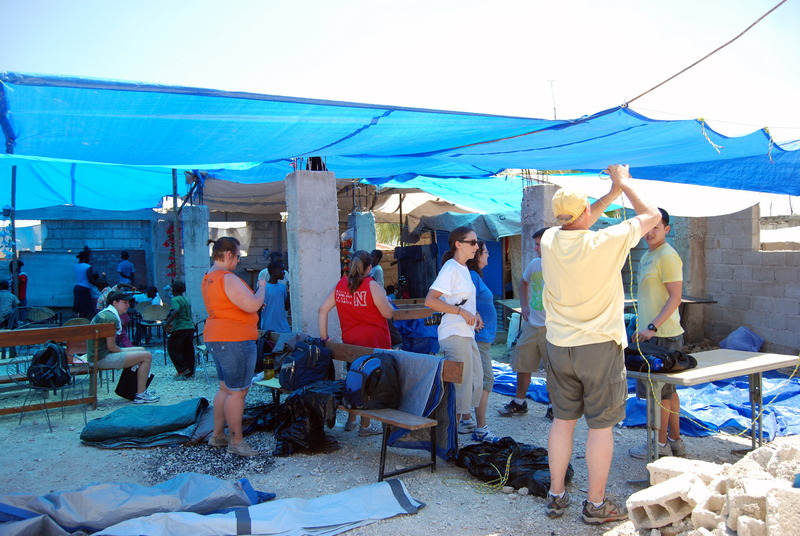 They only had two tarps covering their church when we came that week, and we added more to that (picture below) before deciding to give them the supplies to build a real roof. So, there you go. 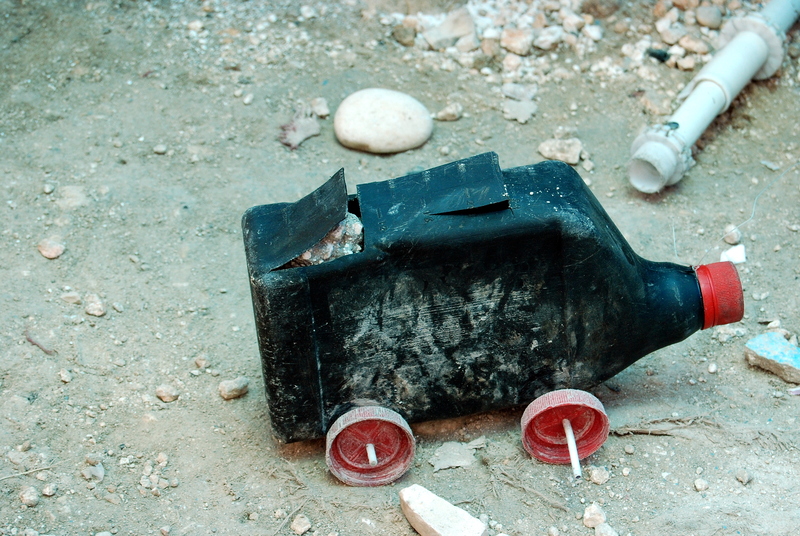 A brief glimpse into my experience in Haiti. 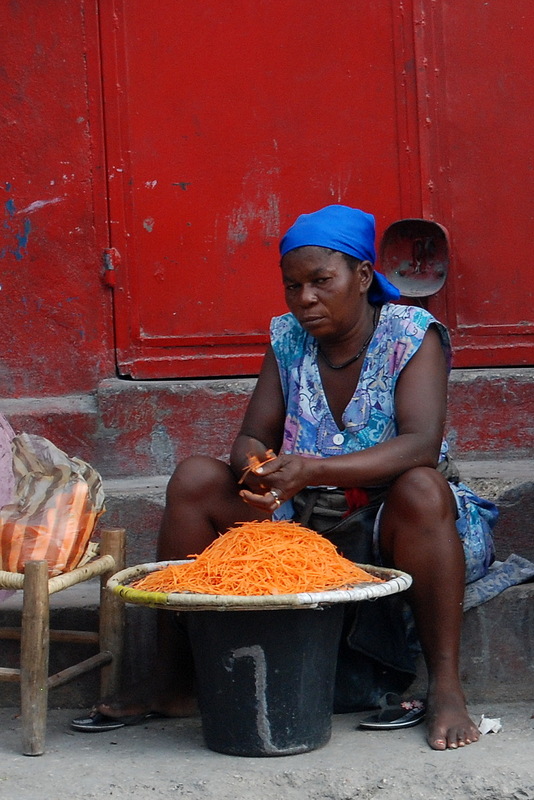 I’m sure this won’t be the last time I write about Haiti…but for now, until I get back from Brazil, here’s a little bit about my trip. Isaiah and Caleb are ONE today! 😍 #brackbilltwins Thanks to @erinfortneyphotography for the amazing photos!